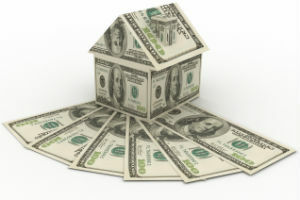 SPRINGFIELD – Homeowners and small businesses in suburban Cook County will see decreases in their property tax bills under a new state grant program that seeks to provide relief to school districts in highly taxed areas. The Property Tax Relief Grant was included in the historic school funding reform law that has already provided millions of dollars in new state funds to school districts that need it the most. In the first year alone, the 39th Senate District received more than $8 million in additional state funding. In order to receive the state grant, eligible school districts must submit an abatement resolution to their county clerks by March 30. 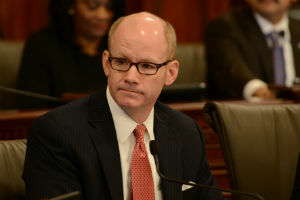 The Illinois State Board of Education (ISBE) will then distribute the grants once receiving all abatement certificates. More information on the Property Tax Relief Grant and a listing of each eligible school district can be found at www.ISBE.net/proptaxrelief. “I am thankful that, after years of hard work by advocates on this issue, we passed House Bill 40 and took what should have been an obvious stance: that women are capable of making their own decisions about their reproductive health. 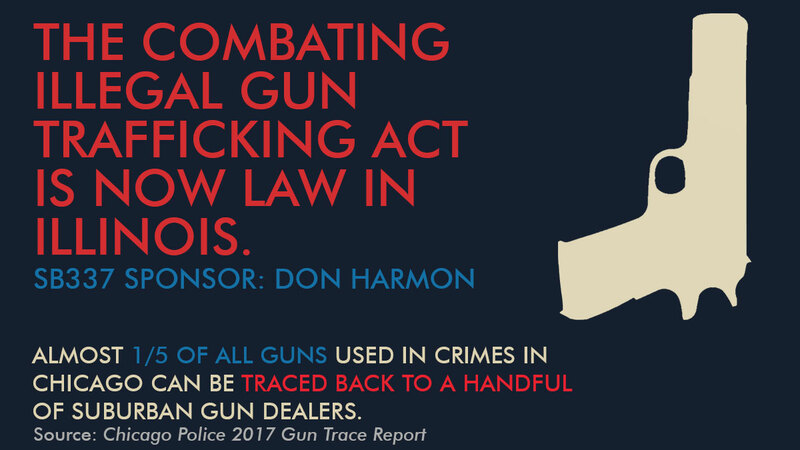 CHICAGO – Sixteen years after State Senator Don Harmon first introduced similar legislation, Gov. JB Pritzker today signed his measure requiring gun dealers to be certified by the state. “When I first introduced a version of this bill in 2003, I thought we would be having this celebration a little sooner,” Harmon said. “This bill will help, but there’s more work to be done. I ask all of our dedicated supporters to remain in this fight." The Combating Illegal Gun Trafficking Act contains provisions to better record and track private gun sales. It treats all firearm licensees the same, regardless of their size. It requires the Illinois State Police, rather than the state agency that regulates professions and occupations, to certify gun dealers. • requiring gun dealers to open their place of business for inspection by state and local police. Harmon’s district includes portions of the West Side of Chicago, an area that has been plagued with gun violence for years. As of Dec. 23, the Chicago Police Department reported 555 homicides in Chicago in 2018. SPRINGFIELD – State Senator Don Harmon (D-Oak Park) joined his colleagues on Wednesday to begin the 101st General Assembly by being sworn in to his sixth term as state senator for the 39th District. Harmon will assume the title of Assistant Majority Leader and continue serving in President John Cullerton’s leadership team. Senator Harmon’s website, which includes a link to contact him, is: www.donharmon.org. “I offer my sincerest condolences to the families of those killed, even though no amount of sympathy can bring their loved ones back. “I especially offer my deepest gratitude to Officer Samuel Jimenez and the other Chicago Police Department officers who heroically responded to the scene and undoubtedly saved lives. “While it is right to offer kind words and prayers following such a tragedy, these words begin to ring hollow when we find ourselves in a position to speak them on an almost daily basis. “America is the only industrialized country that faces this level of gun violence. A recent report from the New York Times found one factor that sets us apart: the startling number of guns we sell and own.